Lengthened shaped ring made in yellow gold and precious stones. 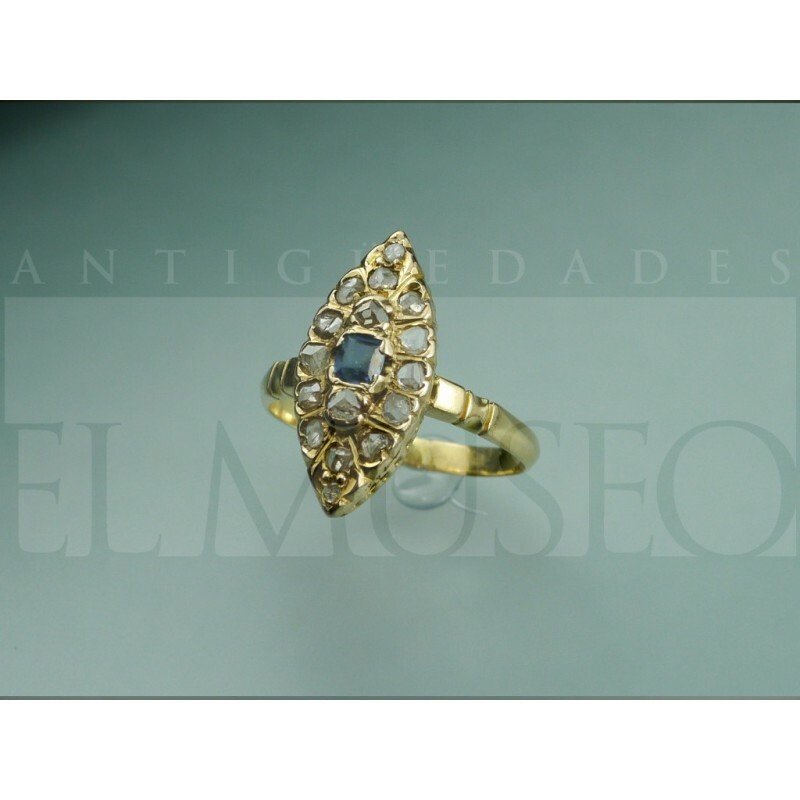 Lengthened yellow gold ring with front covered with rock-cut diamonds and a central sapphire. Size: 19 x 9 mm. 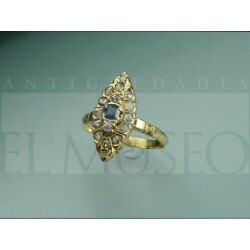 Materials: 18k gold, diamonds and sapphire.